You can contact Therapy Matcher by phone or email, and we will be in touch to learn more about your needs. Please note that staff will respond during business hours. 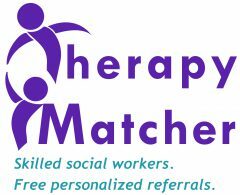 Contact us by calling 617-720-2828 or 800-242-9794, or by emailing info@therapymatcher.org. You can also fill out the form below, and let us know if you prefer to be contacted by email or phone. We find that a phone conversation can often allow us to better assess your needs, but we are also very open to corresponding by email if that is more convenient for you.